John served as a marine officer prior to beginning his dental career with KaVo, a Danaher company in 1994. 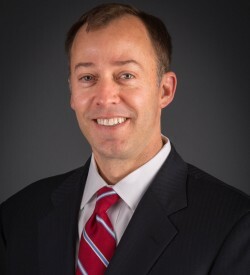 During his 10 year tenure at KaVo he served in various roles of sales and marketing leadership which led to head of KaVo’s U.S. dental laboratory division. John transitioned to Henry Schein in 2004. Henry Schein, Inc. is the world’s largest provider of health care products and services to office-based dental, animal health and medical practitioners and a Fortune 500® Company. John has served in various increasing roles of responsibility within Henry Schein to include general management, business development and executive roles in high-tech sales to include launching Henry Schein’s CAD/CAM division in the U.S. John is currently the commercial leader for Henry Schein’s DDX (Digital Dental Exchange) network. John has earned a reputation for his talent in team building and delivering on strong financial metrics. John holds an MBA from the Cary School of Business at Arizona State University where he graduated with honors. He resides in Salt Lake City, UT with his wife Sarah and daughter Kate.